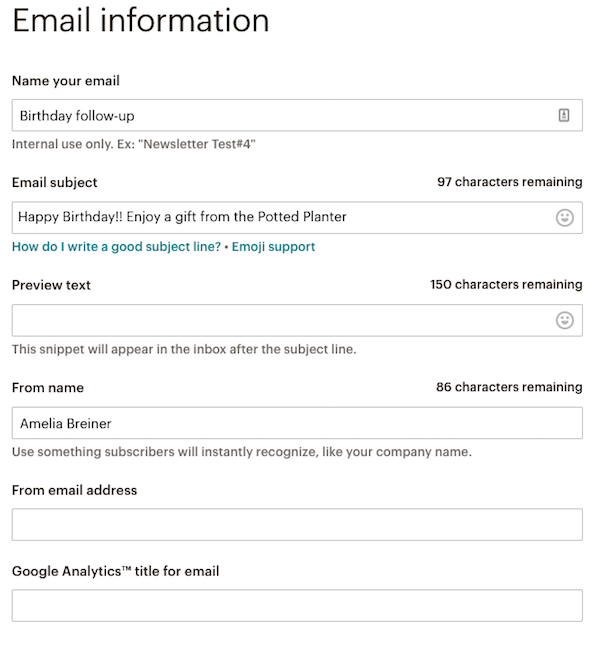 Mailchimp's automation feature helps you streamline your communications and makes sure your contacts get the right emails at the right time. Choose from pre-set automations with defined triggers and timelines, or fully customize your messages. In this article, you'll learn how to create an automation. Certain automations are built slightly differently. Take a look at our step-by-step instructions on how to create abandoned cart messages order notifications, and product retargeting emails. Subscribers can only receive each email in an automation once, with the exception of date-based automations, abandoned cart emails, order notifications, and product retargeting emails. If you're familiar with automation terms and automation types, you're ready to create an automation. 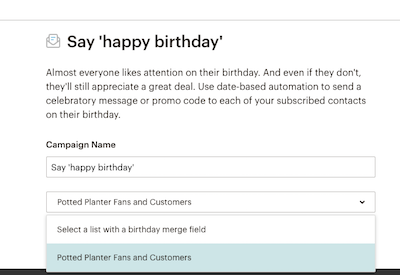 For each automation type, we'll automatically add a preset number of emails to the automation for you. Or, you can choose a custom automation to start from scratch. Click a category tab to find and choose the automation you want to use. Can't find what you need? Click Custom to create something from scratch. In the Emails step of the Automation Builder, you'll add, remove, or reorder the emails in your automation, and design their content. You can also edit tracking and other settings for the overall workflow, or edit trigger, delay, schedule, segment, or activity settings for an individual email. 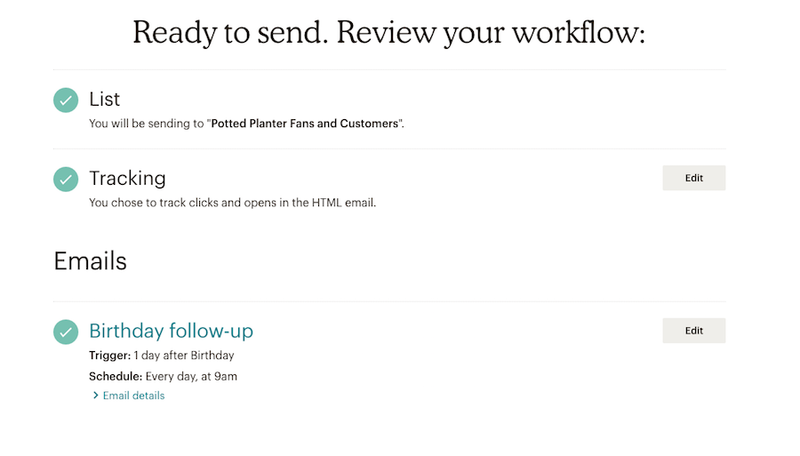 To design an email in an automation, follow these steps. On the Setup step, input names for Name your email, Email subject, Preview text, From name, From email address, and your default Google Analytics title. To display the numbered position of the email in the automation, use Automation merge tags in your subject line. On the Design step, design your email. Be sure to test each of your emails using our preview and test tools, or by sending yourself a test email. Click Save and Return to Workflow, to return to your automation timeline. The From name and From email address you specify for your automation is used on each email in the series. To change the from email address on an individual email, manually update the email's settings in the automation. Now that you've designed your emails, configured your workflow settings, and tested everything, it's time to review and start your automation! On the Confirm step, review the checklist provided and click Resolve or Edit to make any changes to your automation. Nicely done. We'll take care of everything else, so you can get back to work. After you start an automation, you can manually add subscribers to the automation.